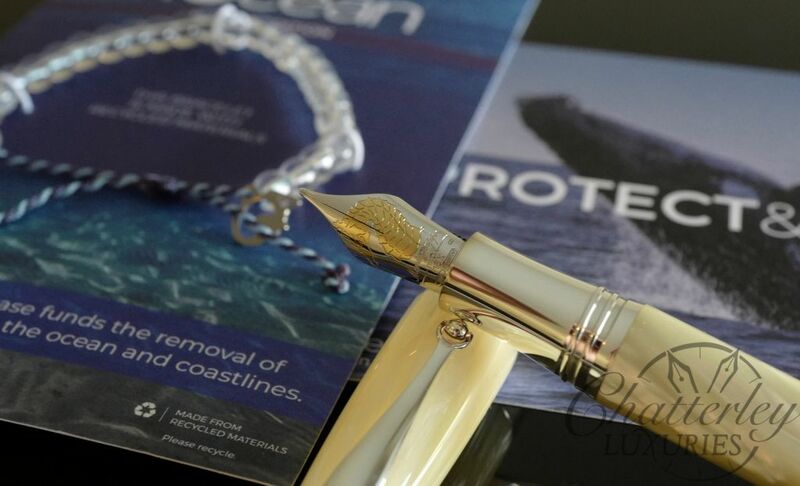 The experience of Italian Pen Manufacturer Delta, has been in collaboration with the design team at Chatterley Luxuries and has brought forth another excellent collection of writing instruments. 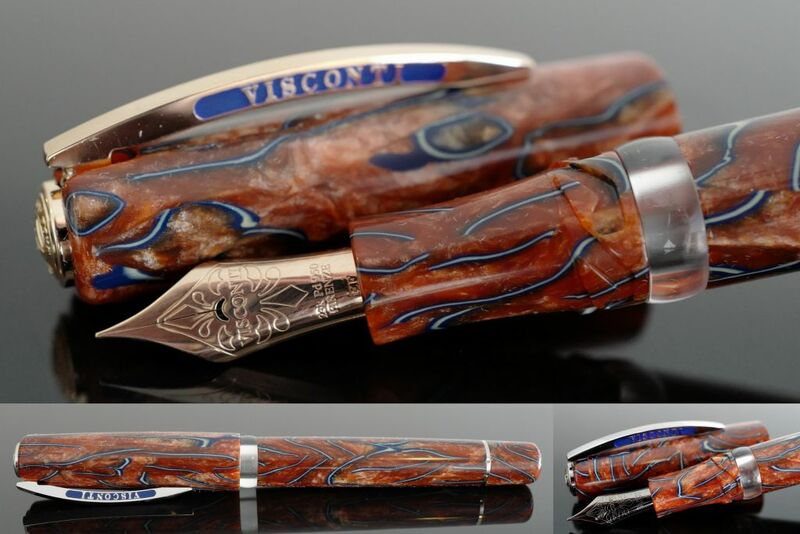 This collection reveals several different colors in a variety of resins and celluloids and the latest of collaborations in 2014 for Chatterley Pens. The pen profile was based on the same shape and size as the Delta Fusion 82 pens. Additionally the pens are numbered on the cap opposite of the clip on the back and the Celluloids were hand selected. All of the pens in this collection are fitted with the patent-pending Fusion nib – a revolution in design by Delta. The nib was developed to improve the efficiency of the fountain pen by enhancing the physical-chemical properties of ink within its assembly system. 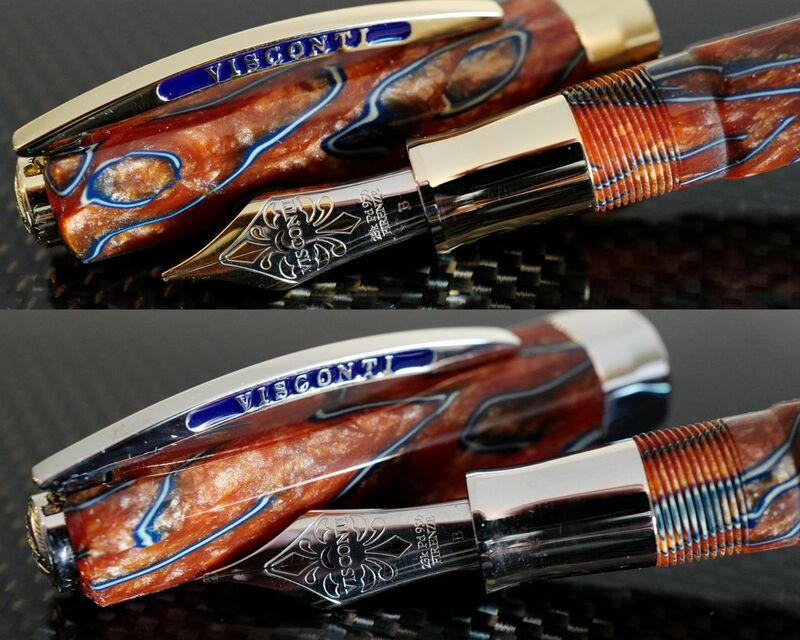 The foundation of the Fusion nib is a steel alloy covered and decorated with a layer of precious 18K gold: the ink is made more viscous on the tip of the nib because the thermal conductivity of the precious metal plate will heat the underlying steel – the higher temperature makes the ink flow more smoothly. They are filled via the convenient cartridge convertor filling system. Designed by Chatterley pens and produced by Delta. Numbered to 18 Pens worldwide, the MSRP on the Chatterley Fusion 82 Limited Edition Celluloid Fountain Pen is $385.